After two days travelling by train Viv and Nadia have arrived in Vorkuta. They will register with the police before setting out into the field! 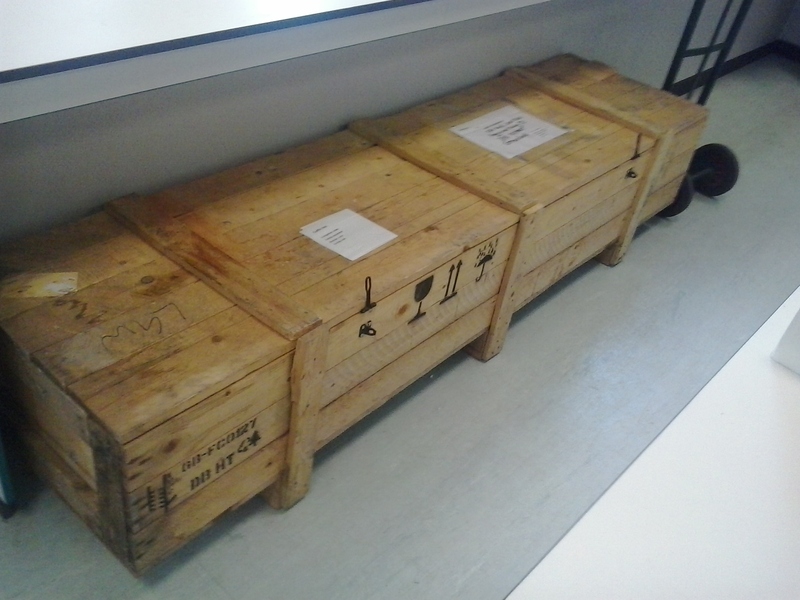 The boxes with coring equipment, supplies and sample bags have been collected today from the Swinnerton Laboratory, at the School of Geography, University of Nottingham by a freight handler. 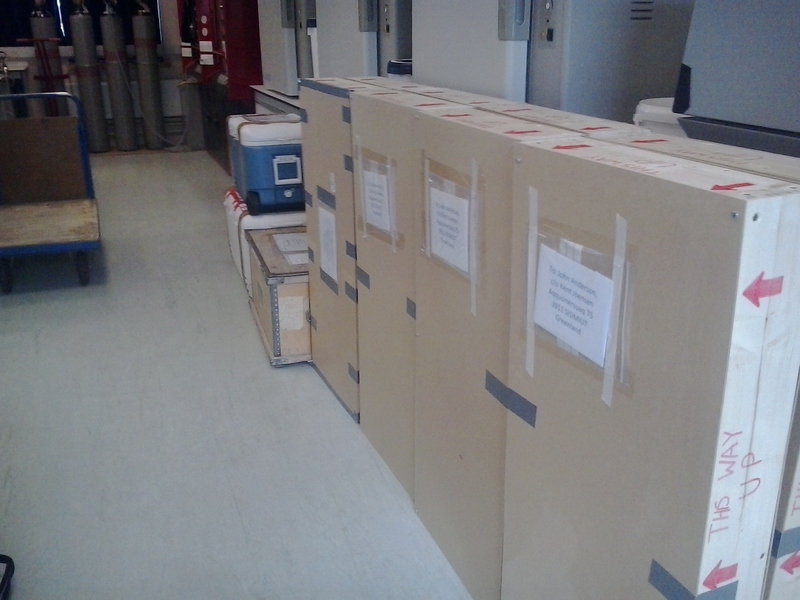 The boxes will transfer by road, sea, air (possibly as many as 4 flights) to their final destination in West Greenland at Sisimiut and the Arctic Station on Disko Island. The Greenland aspects of the fieldwork will commence on the 14th April! In just 7 days Dr Viv Jones and Dr Nadia Solovieva will be heading to the Russian Arctic to collect sediment cores from lakes with colleges from the Komi Science Centre in Syktyvkar!